Robert Whitman is an outstanding American artist who works primarily in the area of multi-media theater pieces. Whitman creates non-narrative theater works rich in visual and sound images that incorporate actors, film, slides, sound, and evocative props in environments of his own making. Born in New York in 1935, Whitman first studied literature and drama, then visual arts, at Rutgers University . He has composed and produced more than 40 performance works, which have been shown in museums, theaters and alternative spaces in the United States and abroad. Whitman's performance work pioneered the use of film and other media as material, and his work is among the most influential of its period. His involvement with multi-media theater pieces began in 1960 when, together with fellow artists Allan Kaprow, Jim Dine, Claes Oldenburg, and others, he produced performances at the Reuben Gallery and then in other galleries and empty available spaces in downtown Manhattan , which he adapted to the performances. American Moon, E.G . and Mouth were produced at the Rueben Gallery. Nighttime Sky was his contribution to the First New York Theater Rally in New York in 1965; Prune Flat was first presented at the Cinematheque in New York in 1965 and has been performed numerous times since. Whitman has continued to make his theater pieces in non-traditional, even raw and abandoned spaces, where he uses the unique architecture or transforms it for the performance. Often audience members are physically in or enveloped by the architected space, and the performance takes place around them. For American Moon the audience is seated in a series of small tunnels facing the central performance space; in Nighttime Sky the audience sits on the floor inside a large white cloth dome. In these spaces Whitman composes the elements of his theater works: live performers, spoken words, pre-recorded sound, lights, film, and objects that move, change shape, appear and disappear; all create the visual, poetic narrative of his pieces. Whitman was the first artist to use film, slides, and other new visual media as material in his work., beginning with projected slides in Small Cannon in 1960. Later that same year in American Moon he used multiple projections of Super 8 film that he had shot. Later in the 1960s and 1970s he worked with 16 mm film that he shot himself as well as found footage from documentary films. Whitman also incorporated film into free standing works, introducing the element of time-based performance into sculpture. In such works as Shower, Bathroom Sink, and Window , all from 1963-64, the objects themselves became surfaces or spaces for film performances. Whitman is one of the artists of his generation who has most successfully collaborated with engineers and scientists and incorporated new technologies into his work. In 1966 Whitman was one of the 10 New York artists who worked with more than 30 engineers and scientists from Bell Telephone Laboratories to create performance works for "9 Evenings: Theatre & Engineering" at the 69th Regiment Armory in New York. Seven automobiles, driving around and parking on the huge Armory's floor, projected film, over the air television programs, and closed-circuit television projections of live performances and actions. For this work, Two Holes of Water - 3 , he made innovative use of a closed circuit television system and the latest fiber optics lenses and miniature cameras. Whitman, along with engineers Billy Klüver and Fred Waldhauer and artist Robert Rauschenberg, was one of the co-founders of Experiments in Art and Technology, a foundation that provided artists with access to engineers and new technology. In 1967 Whitman collaborated with Eric Rawson and Larry Heilos from Bell Laboratories on a series of laser sculptures, including Solid Red Line , in which a thin red line draws itself around the wall and then erases itself in a continuous performance. Pond was a sound-activated mylar mirror installation shown at The Jewish Museum in New York in 1969. His long collaboration with optical scientist John Forkner began in 1968 when they worked together on a mirror, light and sound installation for the Art and Technology exhibition first shown at Expo ‘70 in Osaka, Japan and then at the Los Angeles County Museum of Art in 1971. For this untitled piece, Forkner developed an optical system that allowed real images to float in space and to appear and disappear in an environment made up of a wall array of 6-inch corner reflectors in which the visitors saw multiple images of themselves. Whitman was one of the core artists who designed and programmed the Pepsi Pavilion at Expo '70, a project administered by E.A.T. One of the main features of the pavilion's interior was the central performance space, a 90 ft. diameter, 120 degree spherical mirror made of reflective mylar, which produced real images of the visitors hanging upside down in space. In the early 1970s Whitman participated in developing a number of innovative E.A.T. projects that utilized the fast developing capabilities of the new communications media: the Anand Project to develop instructional television programming for satellite broadcast to rural Indian villages; Children and Communications, open environments for children connected by variety of communication equipment; Telex: Q&A: a world-wide person-to-person question and answer opportunity using telex equipment in New York, Stockholm, Ahmedabad, India, and Tokyo; and Artists and Television, artists' programming on New York cable channels. In 1972 Whitman produced his first telephone/radio piece, NEWS , a program broadcast live over radio station WBAI in New York City . Over the next two years, NEWS was also performed in Houston , Texas , Minneapolis , Minnesota , and other cities. 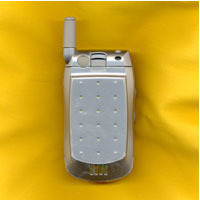 In a 2002 performance in Leeds , England , Whitman updated the piece, using cell phones instead of the original's pay phones. A recording of the resulting sound composition was made available online by the sponsor, Lumens, at UBUweb. Whitman has had solo exhibitions at the Jewish Museum, New York (1968), and the Museum of Contemporary Art, Chicago (1968), and was the inaugural artist in the Museum of Modern Art's Projects series (1973)., at the Hudson River Museum, the Museum of Contemporary Art, Chicago and Thielska Galleriet, Stockholm. He has had one person gallery exhibitions at PaceWildenstein in New York from 1967. He has been included in many group exhibitions. A retrospective, "Robert Whitman: Theater Works, 1960-1976" held in 1976 sponsored by the Dia Foundation and presented six earlier works and the premiere of Light Touch. His theater works have been presented at Galerie Maeght Festival in France; Contemporary Arts Museum, Houston, Texas; Moderna Museet, Stockholm; Walker Art Center; Vera List Art Center ; MIT and many more. In the 1980s several of Whitman's theater works travelled to the Stedelijk Museum, Amsterdam (1983), the Moderna Museet, Stockholm (1987 and 1989), the Centre Georges Pompidou, Paris (2001), and Vienna, Austria. Whitman's historic work was recently included in the exhibitions "Les années Pop," at the Centre Georges Pompidou, Paris (2001), and "Into the Light: The Projected Image in American Art 1964-1977," at the Whitney Museum of American Art (2001-2002). In 2002, his performance Ghost was staged at PaceWildenstein Gallery. And in October 2004, he presented a large-scale theater work, Antenna , as part of the Leeds New Media Festival. In 2003, Dia Center for the Arts, New York , presented, "Playback," a large scale retrospective exhibition of Whitman's works. The exhibition travelled to the Museum of Contemporary Art at the Serralves Foundation in Porto, Portugal, in the summer of 2004 and will open at the Museu d'Art Contemporani de Barcelona (MACBA) on September 15, 2005, showing until January 8, 2006. A major book, Playback , a comprehensive study of his work, accompanies this exhibition. Robert Whitman:Playback . New York : Dia Art Foundation, 2003. Texts by George Baker, Lynne Cooke, David Joselit, Ben Portis, and Robert Whitman. Jacobs, Joseph, “Interview with Robert Whitman.” In Off Limits: Rutgers University and the Avant-Garde , 1957–1963 , ed. Joan Marter. New Brunswick , N.J. : Rutgers University Press, in association with Newark Museum , 1999. Palisade: Robert Whitman . Yonkers , N.Y. : Hudson River Museum , 1979. Interview by Barbara Rose. Rose, Barbara,. "Considering Robert Whitman." In Projected Images: Peter Campus, Rockne Krebs, Paul Sharits, Michael Snow, Ted Victoria, Robert Whitman . Minneapolis : Walker Art Center , 1974. Klüver, Billy, Barbara Rose, Julie Martin, eds. Pavilion . New York : E. P. Dutton, 1972. Kirby, Michael. The Art of Time: Essays on the Avant-Garde . New York : E.P. Dutton, 1969. "Robert Whitman." Interview by Richard Kostelanetz. In The Theatre of Mixed Means: An Introduction . By Richard Kostelanetz. New York : Dial Press, 1968. Robert Whitman: 4 Cinema Pieces. Chicago : Museum of Contemporary Art, 1968. Text by Jan Van der Marck. "Sound for 4 Cinema Pieces," by Robert Whitman, EvaTone Soundsheet. Kirby, Michael. Happenings: An Illustrated Anthology . New York : E. P. Dutton, 1965. Statement by Whitman, pp. 134–83. © 2005 Robert Whitman. All Rights Reserved.